(4),Online games(4),Date,Calender,Winamp Circles, Cpu Meter, Ram Meter and Upload/Download Meter. 1. Set Rainy wallpaper as desktop background and Install N-Gage Font. 2. Open Rainy\Rainy.ini and drag Alienware text to your top center.Left click on Alienware Logo to open main icons.Left Click on any main icon to open their mini icon. Finally Right Click on Alienware logo again to Hide All main and mini Icons. 5. Open Rainy\Timeshift calendar - Modernized\Calendar.ini. 7. Open Rainy\Clock\Fadingclock - morefade\clock.ini. 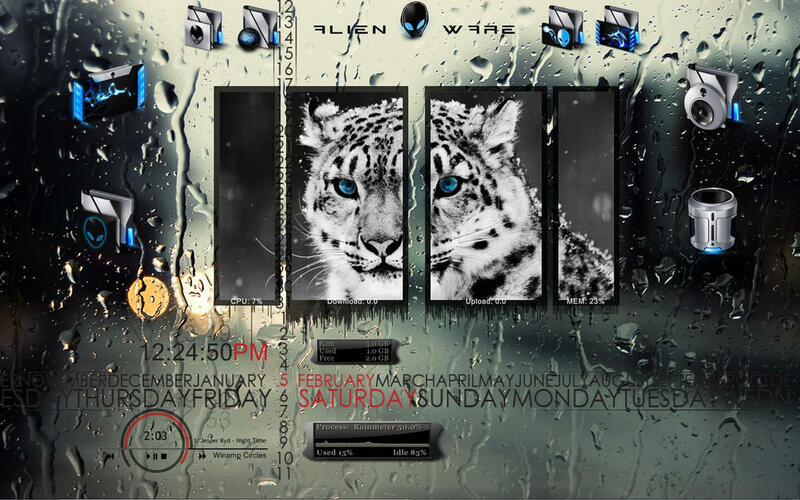 0 on: "::RAINY:: Rainmeter Skin"